Genetic alterations linked to a rare salivary cancer could also shed light on more common malignancies. The genetic analysis of tumors has become a mainstay of cancer research. With the arrival of next-generation sequencing technologies, researchers can now map the entire genome of a tumor more quickly and inexpensively, looking for molecular alterations that cause normal cells to become cancerous. However, scientists must distinguish between genetic changes that directly induce cells to become cancerous or spur their malignant behavior — called driver mutations — and those that play no significant role. Several important driver mutations have been identified; many of them have been implicated in multiple cancer types. But for the majority of common cancers, finding new driver mutations has proved increasingly difficult. 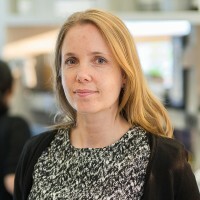 Now a study led by Memorial Sloan Kettering scientists has unearthed a new driver mutation in a rare type of salivary gland cancer called polymorphous low-grade adenocarcinoma (PLGA). Experimental pathologist Jorge Reis-Filho and Britta Weigelt, an assistant member in his laboratory, showed that mutations in a single gene, PRKD1, may cause PLGA. The researchers identified these driver mutations after performing genetic analysis of only six tumors, and they demonstrated in a large series of salivary gland cancers that these mutations are specific to PLGA. This could soon result in the development of a genetic diagnostic test for patients with PLGA. The findings, reported in a recent issue of Nature Genetics, came through a collaboration with researchers at the Ontario Institute for Cancer Research, the University Health Network in Toronto, and the Cleveland Clinic. Drs. Reis-Filho and Weigelt explain how a mere handful of tumor samples can provide compelling evidence of a driver mutation and discuss why analyzing rare cancer types can speed the identification of new cancer genes. What first led you to focus on PLGA and suspect that it was caused by a single genetic aberration — compared with most cancers, which seem to involve many? Jorge Reis-Filho: There are several distinct types of malignant salivary gland tumors — including adenoid cystic carcinoma, mucoepidermoid carcinoma, and mammary-analogue secretory carcinoma — which, like PLGAs, sometimes occur in other sites, such the lungs or breasts. In addition, tumors from each of these types look very distinctive under the microscope, and there is little variation in the appearance from tumor to tumor among cases of these rare types of salivary gland cancers. This is in stark contrast to common types of cancers, which have considerable variation in the way they look under the microscope and display tumor heterogeneity. Recent studies have shown that each of these other salivary gland tumor types are caused by a frequently occurring single genetic alteration, and given the clinical similarities, we suspected the same might be true for PLGA. To test this, we subjected six PLGA tumors to next-generation sequencing. In five of the six tumors, we found mutations that result in exactly the same protein change within a gene called PRKD1, which has not until now been linked to cancer. How did you know that these mutations were causing PLGA? Britta Weigelt: We had to do a number of experiments to confirm this. First, we looked at the other salivary gland cancers and saw that PRKD1 mutations were not present — they are specific to PLGA. We also sequenced 53 additional PLGA tumors and found the same mutations in more than 70 percent of them. Our findings strongly suggested the mutations are driving the cancer, but we also needed to demonstrate it in the lab. We designed experiments that allowed us to test the signaling activity of the mutated PRKD1 protein and found that was strongly increased compared with the normal PRDK1 protein without the mutation. We also forced the expression of the PRKD1 mutation in nonmalignant human cell lines, and it caused the cells to take on cancerous attributes. That gave us proof of cause and effect. How can this discovery help patients in the short term? JRF: It can have immediate applications in helping doctors diagnose PLGA and define the treatment for patients with salivary gland cancers. Often, only small biopsies are available, and some salivary gland cancers, such as adenoid cystic carcinoma, may look like PLGA but are more aggressive and require different types of treatment. But now we can test for PRKD1 mutations, which may help us distinguish a PLGA from other more aggressive types of salivary gland cancers. We think a clinical test for the mutation, which is simple to develop, will be available by 2015. 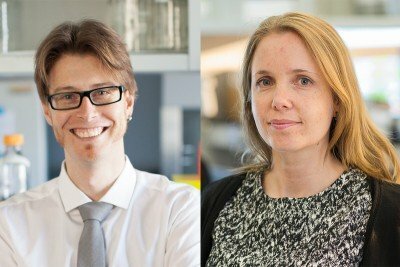 What does this finding suggest about finding new driver mutations in general? JRF: For the more common types of cancer, which include a heterogeneous group of tumors, we are now seeing hundreds or even thousands of tumors being sequenced for the identification of a small number of new driver mutations. Beyond the major drivers, the picture gets very murky with a diverse array of mutations potentially being implicated in the biology or clinical behavior of common cancers. Two breast tumors, for example, could have very different sets of mutations that caused the disease. For rare cancers — which, by contrast, are more homogeneous than common cancers — the number of driver mutations can be very, very limited. This was the case with PLGA, and also with small cell carcinoma of the ovary, hypercalcemic type, a rare ovarian cancer that MSK gynecologic oncologist Douglas Levine recently found was caused by one mutation after analyzing only 12 tumor samples. So investigating the genetic underpinning of rare cancer types in a handful of tumors can help identify new driver mutations more quickly. This is complementary to the conventional “brute force” approach for more common cancers using huge numbers of tumors. When we find a driver mutation in a rare cancer, we can then test whether it applies in the more common cancers — at least specific subtypes of those cancers. It’s a very neat way of going about it. And if a mutation is found, genetic diagnostic tests can be rapidly developed. Carol, unfortunately we are unable to answer specific medical questions such as this on our blog. We suggest you consult with your personal physician about the nodule enlargement. If you would like to make an appointment with a Memorial Sloan Kettering physician, please call our Physician Referral Service at 800-525-2225 or go to http://www.mskcc.org/cancer-care/appointment. Thanks for your comment. Do u do genomic sequencing of all salivary cancers. Also how does identifying the genomic sequencing of Adenocarcioma Minor Salivary affect treatment. Jackie, thank you for reaching out. MSK conducts genomic sequencing only on advanced (Stage 4) cancers, regardless of cancer type. For your second question,depending on which mutations are found, you may be eligible for a clinical trial or to be enrolled in a basket trial, which tests a therapy targeting a specific genetic mutation found in the tumor, regardless of where the cancer originated. 800-525-2225 or go to http://www.mskcc.org/cancer­care/appointment. Thanks for your comment. Hi, I am intrigued by your study. My father was diagnosed with stage four parotid gland cancer initially 4.5 years ago, had treatment no spreading. Two year's into this is diagnosed with Bells Palsy...it wasn't...the Parotid Gland Cancer had returned full force. But it took 2.5 years for the docs to realize that is was Cranial Nerves 5 and 7 involved (confirmed the cancer vs bells). He was told that since it is back a second time this is his last time to treat it - so he is going radiation and chemo after a very radical facial surgery to remove what they could and reconstruct and lift his face. That's the background. I am 27 years younger then my father and about 5-8 years ago I had my neck biopsied - there are lumps sticking out. Supposedly, they are lymph nodes that are enlarged...all the time...very close cluster and I developed a goiter about a year ago (I'm only 38). Would my father and I fall into your genetic testing? I know that his form of PGC is apparently very rare. I am researching different avenues, as they said it's so aggressive they don't really stage it, it all just ends up as a four. Thank you for your time. Billi, we’re sorry to hear your family has been through this. We recommend you contact our Clinical Genetics Service to find out whether genetic testing would be appropriate for your family. You can reach them at 646-888-4050. For more information about the service, you can go to https://www.mskcc.org/cancer-care/risk-assessment-screening/hereditary-…. Thank you for your comment. Hi I am 63 year old woman who was diagnosed with mucoepidermoid carcinoma of the sublingual salivary gland 2 years ago. Quite a shock as I always thought I was healthy nonsmoker ate good food prepared at home. The tumor entered the front mandible, so i underwent a radical resection and mandibulectomy for 3/4 of my mandible. I then did full radiation .It was stage IV. Its hard to find much on mucoepidermoid. I had good margins. But you always wait for the bad news . at each CT scan. It just drives me crazy wondering Why I got this ? It was a long road to finding source of my pain. Many years. I hope this is nothing my children will have to experience ? If it returns, what will be options ?? I understand chemo doesnt touch this one. I cant find much on this cancer as it is so rare. Although someone in my support group now has parotid salivary cancer. Dear Rose, we are sorry to hear about your diagnosis. Fear of recurrence is a common issue among many cancer survivors but here are some things you can do to cope. You may be interested in reading a related blog post about that: https://www.mskcc.org/blog/six-tips-managing-fear-recurrence. If your cancer does return, know that our specialists care for people with all types and stages of cancer, from the most common to the most rare. Should you experience a recurrence, you are welcome to contact our Physician Referral Service (at 800-525-2225) to make an appointment for a consultation to discuss possible treatment options, including clinical trials that may be appropriate. Dear Feryal, we’re very sorry to hear about your brother. If you would like to arrange for him to have his records reviewed by a doctor at MSK, you can contact our International Center at international@mskcc.org. You can go to https://www.mskcc.org/experience/become-patient/international-patients/… for more information. Thank you for your comment, and best wishes to you and your family. I'm looking for assistance regarding tumors in my parotid gland. These tumors are not malignant, but they are both recurring and aggressive. They are oncocytic adenoma's. I have previously had three surgeries on my neck. This would be the fourth surgery, but it would definitely cause the sacrificing of my facial nerve. My last surgery for excision of the oncocytic adenoma's was May of 2016. As of September 2017 an MRI indicates that I now have more than 30 of these tumors in this right side of my neck. The tumors have also moved beyond just being attached to my parotid gland. I am told surgery and radiation therapy are not an option for my situation. My physician's are unsure of how to handle this. I am a very rare situation. Your institution is out of my health insurance network, but i'm just wondering if this is something you can help me with before I even attempt to get the out of network care approved, or pay for the care myself. Dear Bob, we’re sorry to hear about your diagnosis. If you would like to talk to someone about making an appointment with one of our head and neck specialists, you can call 800-525-2225. Our experts at that number will be able to answer your questions about insurance as well. You can also go to https://www.mskcc.org/experience/become-patient/appointment for more information. Thank you for your comment, and best wishes to you.